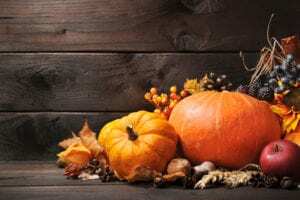 Whether you’re about to spend your first Thanksgiving post-rehab or have several Turkey Days under your belt, these stay-sober tips will ensure you have a happy, healthy holiday! Count your blessings. Thanksgiving is the perfect holiday to reflect on your recovery and new sober life. Try your best to express gratitude to the friends and family who have helped with your journey or write down a few reasons why you’re grateful for today. Think out-of-the box. It’s perfectly okay to begin a new sober tradition with a few supportive friends or family members. Some ideas: Volunteer at your local soup kitchen, go to the movies, bundle up and take a brisk hike or order take-out and play board games – there’s no right or wrong way to make holiday memories. Manage your stress. Whether you wake up and meditate, go for a brisk walk or just jot down some thoughts in your journal, begin Thanksgiving on a healthful note. And don’t forget to stick to a healthy sleep schedule this week. Some restorative sleep will help keep your emotions balanced and mindset more positive. Don’t overdo it. Of course, it’s okay to indulge in some Thanksgiving eats but make sure to enjoy moderate portions and load up on veggies. Also, don’t skip breakfast. A hunger craving is the last thing you want during the holidays. Create an emergency plan. Make sure your sponsor and/or a trusted family member or friend is available to call or text this holiday. If you’re traveling, plan in advanced by knowing the location and times of any 12-step meetings or support groups in the area. If you or someone you love is looking for a safe place to heal from a substance use disorder, look no further. Our five CARF-accredited rehab campuses help clients and their families hone critical recovery skills for lasting sobriety. To learn more, call today: 800-761-7575.